King Island lies off the north west coast of Tasmania, an island of rocky coastline, clean air and fine seafood and dairy delights. What’s special about King Island? Lies in the path of prevailing westerly winds known as the Roaring Forties. Home to more than 70 shipwreck sites. 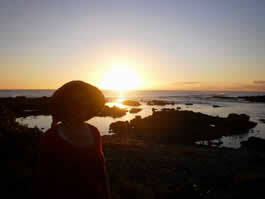 Feel invigorated on King Island as you breathe in air that has travelled over 11,000 kilometres of vast ocean. Follow the Shipwreck Trail, taking you on a journey through the island’s maritime history and incorporating the key historic sites on King Island. Spoil yourself with a visit to the King Island Dairy where you can sample your favourite dairy products from King Island’s renowned thick cream to the fine brie and selection of cheeses. Learn about the processes involved in hand-made cheese making and its history. Keep an eye out for the abundant wildlife on the island from the wallabies and elusive platypus to the impressive birdlife including rare orange bellied parrots and grand sea eagles. Head to the Lavinia Nature Reserve in the island’s north-east to enjoy the prolific island wildlife. Head into the commercial centre of the island, Currie, where the main industries are fishing, farming and harvesting bull kelp for food and cosmetics. Wander down to the picturesque harbour as the fishing boats come in to dock and spoil yourself with a dinner of succulent crayfish (in season), in one of the local Currie restaurants. 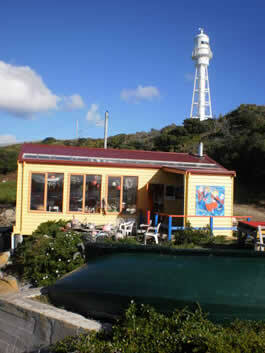 Enjoy your own feast at the Boathouse "restaurant with no food"
King Island was first sighted by Captain Campbell in 1797, and was named after Governor King of New South Wales. The island became well known for its plentiful seals which were hunted close to extinction. Excellent rainfall and pastures lured optimistic farmers to King Island and the discovery of tin, gold and one of the largest deposits of scheelite boosted the island’s population. 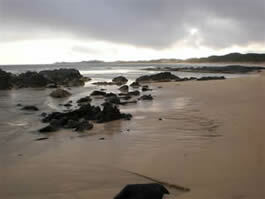 Today, King Island is well known for it’s dairy produce and excellent fishing. 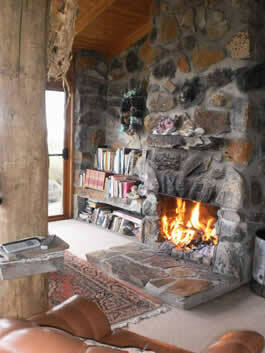 King Island, is 80 kilometres (49.5 miles) north-east of mainland Tasmania, and is accessible by plane. Fly from Moorabbin airport with King island airlines,or Vortex or REX airlines from Tullamarine airport or SHARP from Hobart or Devonport in Tasmania. For more local information please visit www.kingisland.org.au.